For more reason than one, there wasn't much to say about this race. Just like last week Lewis Hamilton was for much of Mexican Grand Prix weekend on another level to the rest, not least his team mate. Just like last week his team mate Nico Rosberg did what was required to keep this year's world championship well under his control, by following Lewis home. And for much of the way to getting there - and back to where we started in effect - there wasn't much to distinguish things. 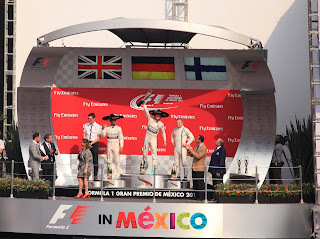 Sadly this popular Mexican stop-off with its numerous and passionate support hasn't been well-served by entertainment since it returned to the F1 itinerary last year. It hasn't helped that both races have been tyre economy runs, with extremely stretched out strategies the norm. Strangely too for a track dominated by two long straights ended by big braking zones overtaking here seems for the most part about as presentable as at Monaco. Well, this was the way of it much of the way. Between lap two and lap 67 of 71. The bookends were rather different. They managed to squeeze in plenty for us to say. And the discussions are ongoing. It's the F1 equivalent of freewheeling I suppose. 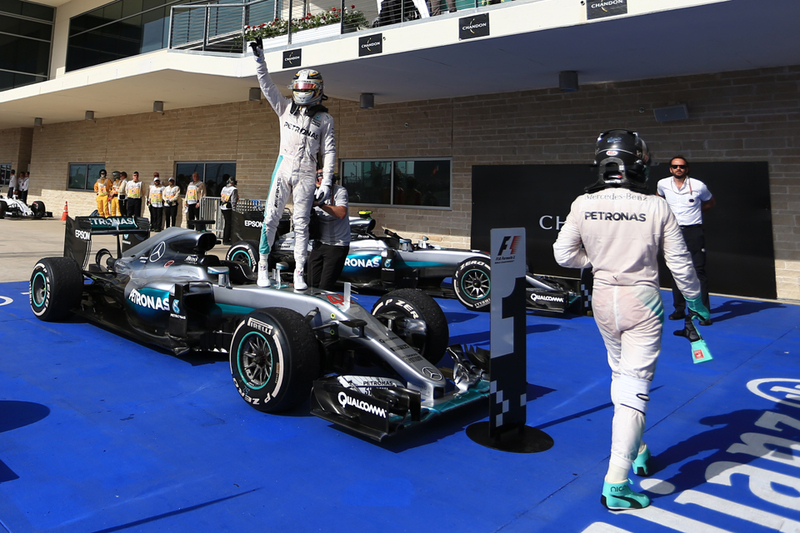 Last week in Austin Lewis Hamilton was a clear step ahead of the rest just about the whole time. A week on and the relatively short hop to Mexico City later, one hardly can see the join. As in Austin he had around a couple of tenths or more per lap on his title foe Nico Rosberg almost from the first tours in Friday practice. Indeed as this Mexican weekend went on his gap to Nico seemed to stretch. 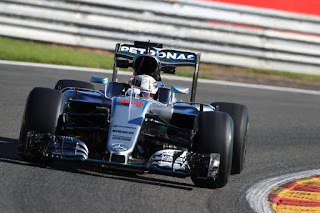 Indeed as this weekend went on it appeared what threat there was to Lewis was not from across the Mercedes garage. Ferrari had a fizz-bang from topping the second Friday practice session, then in Saturday morning practice Red Bull stepped in with Max Verstappen heading the order. At the very start of the qualifying hour there also was a pang of excitement as Lewis was but in fourth place after his first effort, shy indeed of the very same Ferrari pair and Verstappen. But as ever it was all illusory. 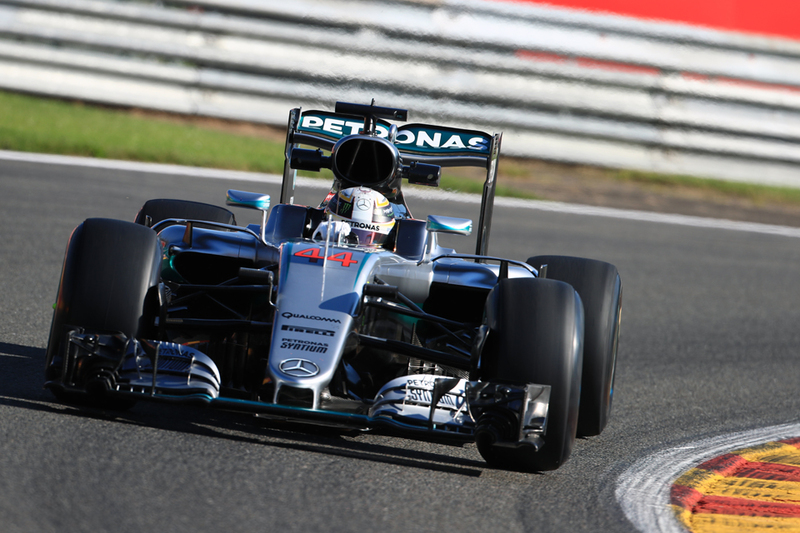 Lewis seized the top spot later in the same run and wasn't really seen again. He got pole at a canter with his opening run of Q3 good enough by a way. It's human nature that we remember a finale. But much more often forgotten is how we got there. It can be at least as important. And so it was 30 years ago. We all remember the magnificent championship showdown in Adelaide; Nigel Mansell's exploding tyre which opened the way for Alain Prost's unlikely but towering achievement to win the title. But, again, we might have forgotten how we got there. 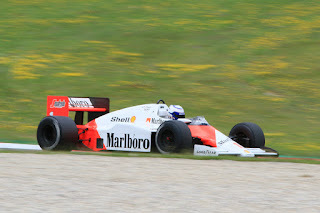 Not least the round before, like this weekend in Mexico, in which Prost's drive was even greater arguably. Certainly it was more pure Prost. 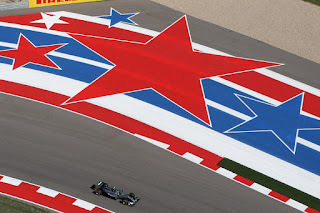 The United States Grand Prix was a joke in itself. The only saving grace was the brief wheel-to-wheel battle between Carlos Sainz Jr. and Fernando Alonso. The BIG chatter from the weekend was the FIA banning 'The Verstappen' and Venus Williams snubbing Martin Brundle. Shame on you, Williams. 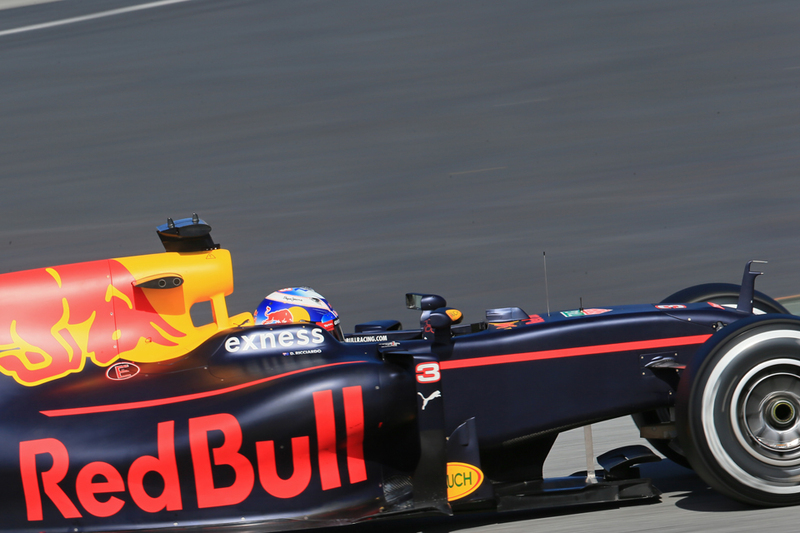 How do Formula 1 drivers ensure that they don't become victims of 'The Verstappen'? Ask the FIA to ban it! Ridiculous or sensible? 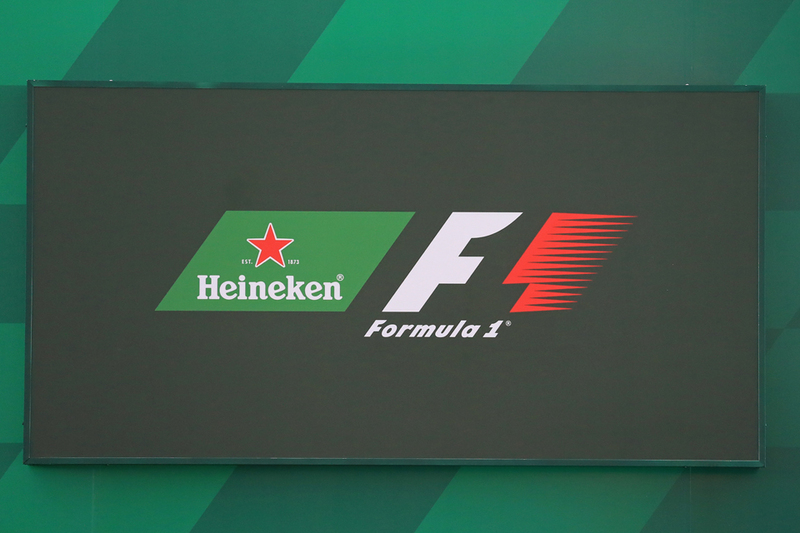 Either way, history suggests that the FIA could well un-ban what they've banned in the first place. 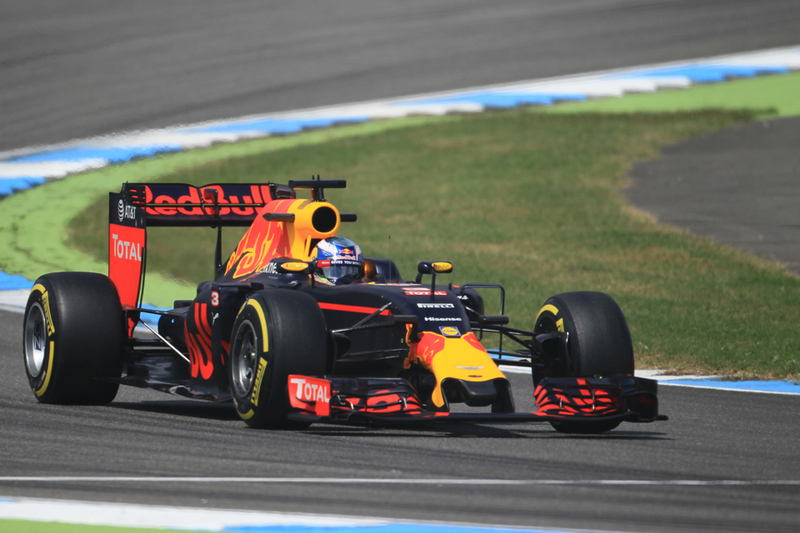 Actually, instead of banning 'The Verstappen' the FIA should have Max Verstappen host a session for the other drivers on how to pull of 'The Verstappen'. He's the one driver that's brought some cheer to Formula 1. Okay, Daniel Ricciardo too. Ricciardo's shoey found yet another victim (in Gerard Butler) and given the fantastic promotion and free publicity for Red Bull, there's good chance that Bernie Ecclestone would ban the shoey if the the FIA didn't. But before the ban, we'd love to see Hamilton's reaction to being shoey-ed by Ricciardo. 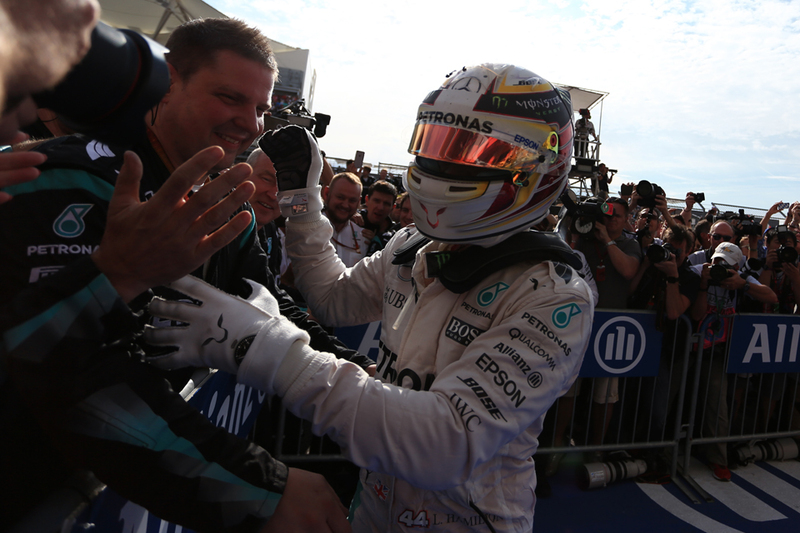 Lewis Hamilton started his race well and that meant an expected end too - a much-needed victory. Due to obvious reasons, there's increasingly more focus on his starts and media behaviour. At his 'second' 'home' race, he scored well on both counts. By the way, an evil move by the FIA to call him in for the official press conference on Thursday. They seem to have a dark side to their humour. But it wasn't just the FIA alone, even Red Bull Racing's Spy had something really humourous to say on this subject. It was a shame to not see Max Verstappen on the podium. 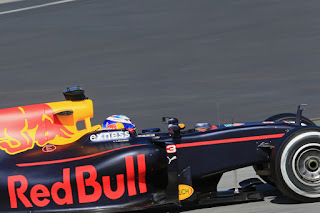 After all, it wasn't just Red Bull Racing alone, but the organisers too who had prepared well in expectation. His unexpected pit-stop and radio message caused much chatter. But despite his insistence, he might just end up finishing 4th in the Drivers' Championship, if his form and Ferrari's woes continue. Also, a thumbs up to our listeners and all the Dutch fans for voting for Verstappen as the 'Driver of the Day' even in races he 'Did Not Finish'! And finally, Verstappen's parked car on the circuit brought out the Virtual Safety Car that eventually helped Nico Rosberg jump Ricciardo to second place. 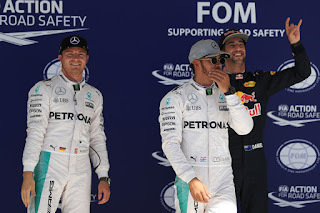 How ironic for Ricciardo, how lucky for Rosberg! 2017 might see cars, drivers and even different management for a few teams. There's talk of Ron Dennis retiring and Ross Brawn, among a few others, being discussed as his replacements. Brawn is most welcome to come back to Formula 1. But, we're not sure who needs him the most - Ferrari, McLaren or Formula 1! Ferrari's best finish was a Kimi Raikkonen reversing himself in the pit-lane. Over to Mexico, there's a possibility of Rosberg clinching the Drivers' Championship this weekend. But at the same time, there's possibility his points advantage could be cut down to just one point. 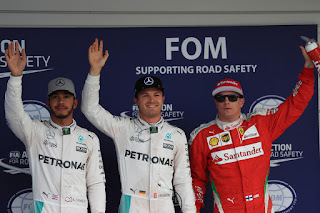 The stakes are equally high for both Mercedes drivers, but Hamilton has been here a few times before, as for Rosberg, this is only his second time (first being in 2014). Maybe this is why he sang 'Living on a Prayer' post the US GP. But he could well be singing 'We are the Champions' if things go his way this weekend. 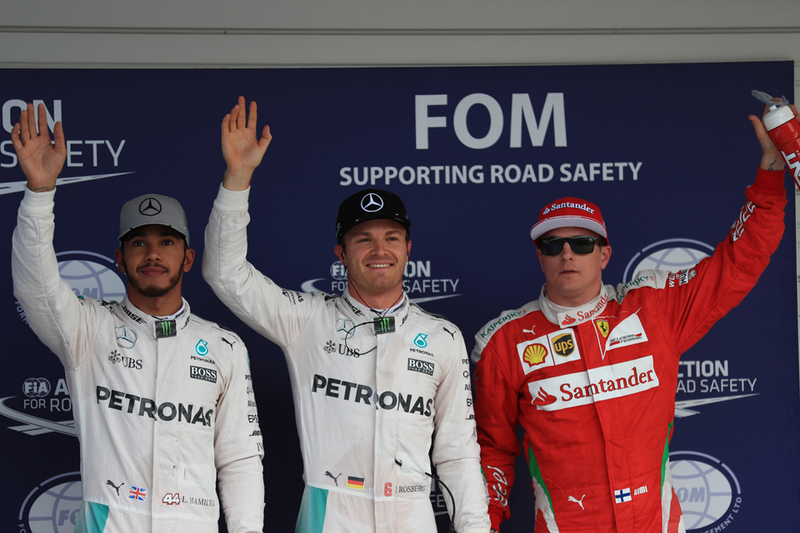 Ecclestone's comments on Rosberg were very rude, but can better be expected from him? He relies on teams, drivers and podcasters like us to market his sport. Lastly, despite the Hamilton vs. Rosberg fight, Sergio Perez will be the most cheered driver on the grid in Mexico. Tune in! New Motor Verso article: Is it time to reconsider Rosberg? What is it with Nico Rosberg? Has any driver ever been so hard to place? Been the subject of so much fevered argument about where they fit? In the 'Race to the White House', who would Hamilton vote for - Donald Trump or Hillary Clinton? Also, would Bernie Ecclestone's pal, Donald Trump, attend the United States Grand Prix in Austin? Formula 1 is a perfect sport for Trump to invest in and we tell you why. All-in-all, we hope that being in the United States of America does motivate Hamilton to race as Hamilton - he's been Rosberg-like in the last few races. Nico Rosberg's best psychological attack on Hamilton would be to invite Nicole Sherzinger to the US GP. It would also be yet another battle that Rosberg would win off-track - since beating Hamilton on-track seems unlikely this season. But Hamilton has always beaten Rosberg in the USA and Rosberg has never won here, will his 'fear of missing out' propel Rosberg to win his 8th first-ever win of the season? 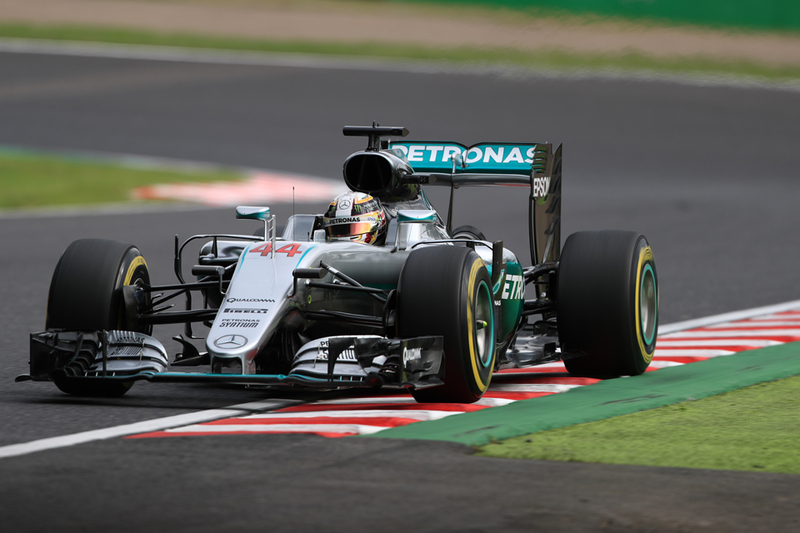 Surprisingly, Hamilton copied everything but Rosberg's clutch settings in Suzuka! 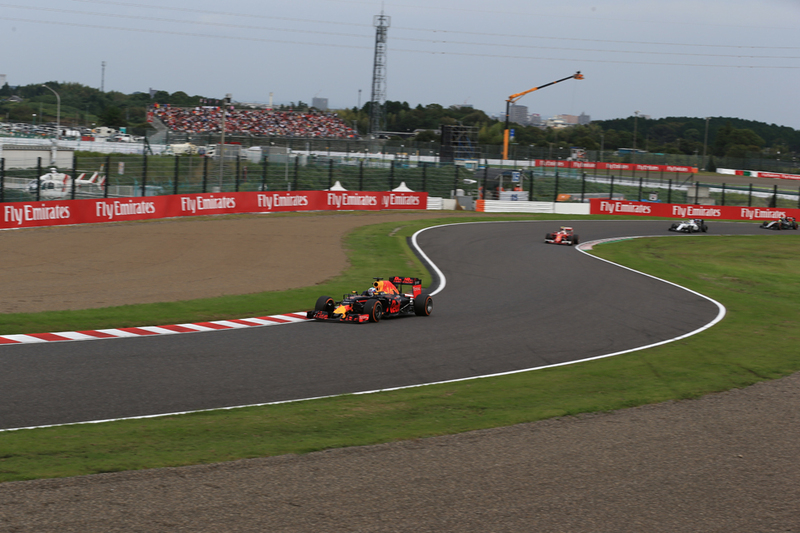 The Japanese Grand Prix weekend was one for recrimination. And in the race we got a little more, with much complaining from some of those near the front about blue flags, and those being lapped not leaping out of the way sufficiently pronto. In my latest article for Vital F1 I explain why, though it's nothing personal, they get no sympathy from me. And why if it was up to me we wouldn't have blue flags at all, as the sport would be better for it. New Grand Prix Times article: Does F1 need to learn to love Lewis Hamilton? 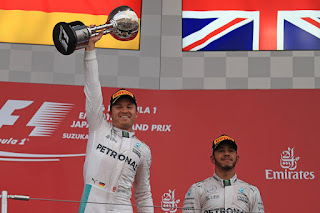 The Japanese Grand Prix was all about Nico Rosberg's imperious showing, which send him a great stride towards this year's drivers' championship. Or rather it should have been. 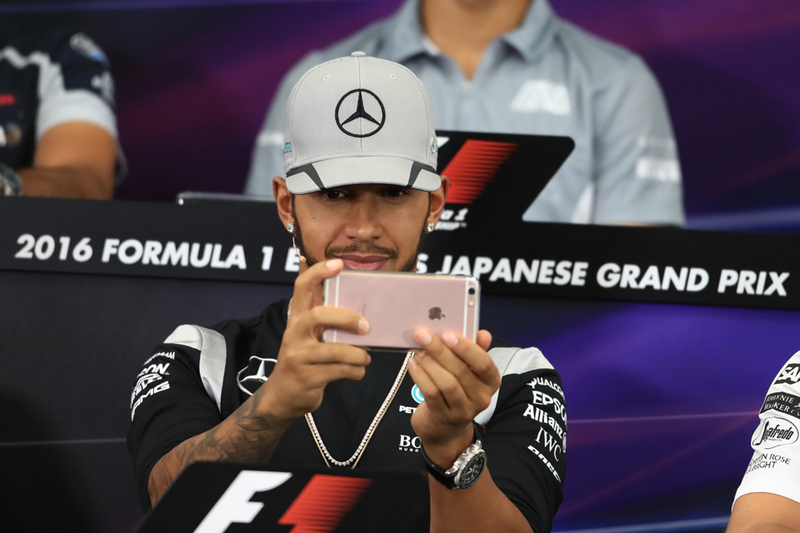 But instead the chat was again all about his team mate Lewis Hamilton. And not for anything he did on track. Instead it was for his antics in press conferences. Or antics not in press conferences as the case may be. Sure enough we got a giant wave of indignation. But in my latest article for Grand Prix Times I ask whether Lewis has been rather maligned and not for the first time. And whether F1 needs to learn to love him a bit more. 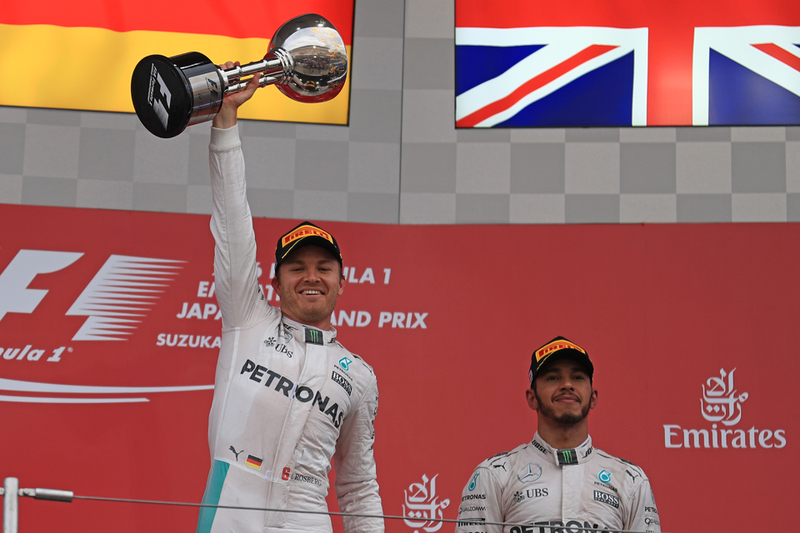 The latest Lights to Flag podcast is here, and for the second week in a row Ewan and I were delighted to be joined by Jack Amey to look back at the Japanese Grand Prix. 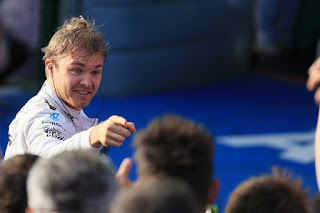 Of course there's much fat-chewing over Lewis Hamilton, Snapchat and all that, but also at Nico Rosberg's dominant weekend that could well go considerable way to deciding this year's drivers' title destination. 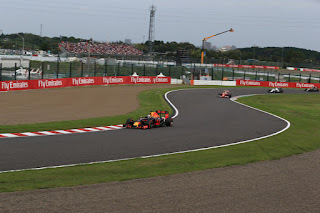 And we chat about other news from on and off the track in Suzuka, including whither Ferrari and Sebastian Vettel, Max Verstappen's defence, Nico Hulkenberg's Renault switch, among many other things. It's well worth the 58 minutes of your time, and you can listen via the player below. It is our contradictions that make us interesting. Even as rational beings we often rely on explanations that have no more basis than hocus pocus. Even in F1, that most empirical of activities. 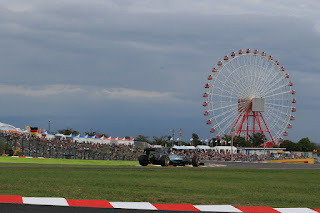 But we can understand why, particularly after a weekend such as this for the Japanese Grand Prix. When things are going your way, they go your way. Somehow. 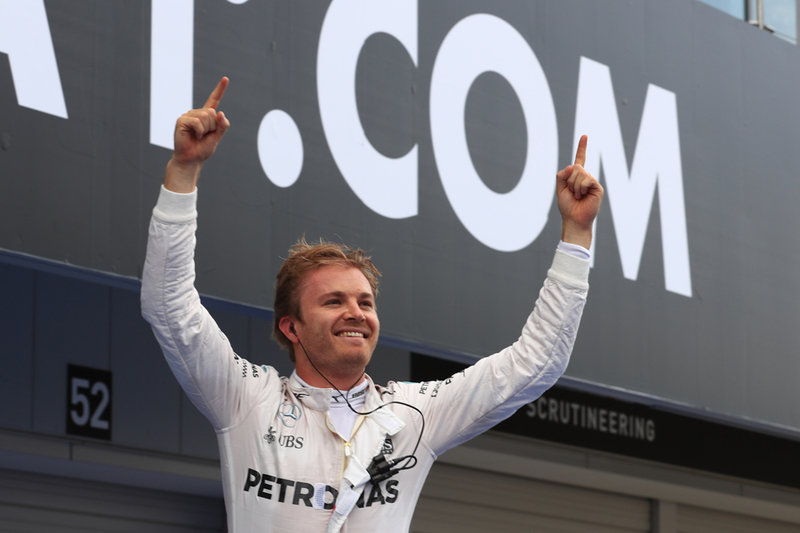 And it continued that way when it mattered for our most unlikely of world championship interlopers called Nico Rosberg. The rounds tick down; he remains on top. Things continue to go his way. Somehow. But it would be wrong to suggest this one owed at all to fortune. Nico's was not a race but a weekend dominated in the finest style. Almost from a wheel being turned at the start of Friday practice he appeared on another level. Every session he topped. And all this with the drivers' championship pressure cranked up to 11. Not for the first time you suspect long-held assumptions about him are being recalibrated. His more entrenched critics will point out no doubt that ho hum Nico in his one trick won from the front. Maybe so (albeit it's a harsh criticism), but as Martin Brundle pointed out a few rounds back, he keeps getting to the front. To think we were all so convinced. Nico Rosberg might be shadow boxing, dancing around the ring, but as the title fight reached the critical point he'd become timid. And meet a knockout blow. Not so. Or at least not yet. There seems a pattern being established just lately, the sort that adds up to a World Championship you might say. That when Nico's not on top things still go his way somehow. And when he is on top he's imperious. Today in qualifying, and indeed for just about all of this Japanese Grand Prix weekend thus far, we've got the latter. As the rounds are being ticked off, with him up on points, he remains sprightly. Confident. His dance to the title hasn't yet met the clunking fist we all were anticipating. More and more indeed, it appears it'll take something major like that to stop him. 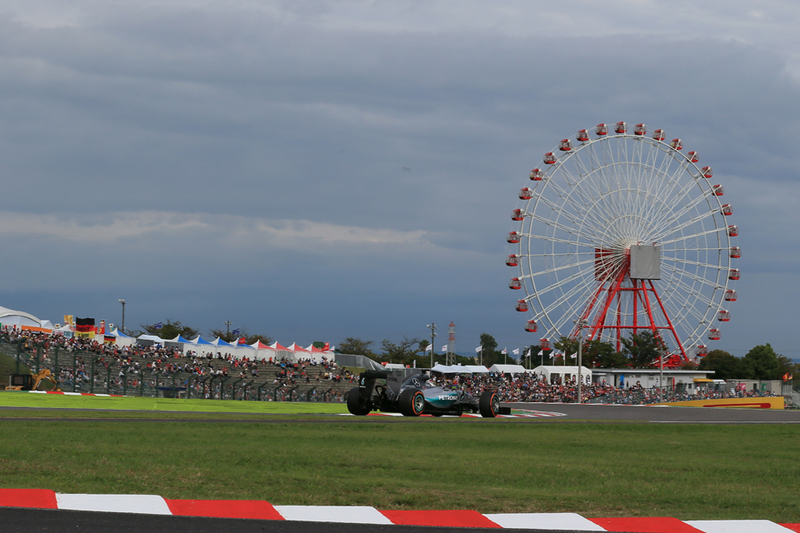 Plenty said in advance of this one that Suzuka was Lewis Hamilton country. After all it's on a big, bold circuit, that usually is up his street, plus he won on both of the last two visits. But as ever in F1 it pays to dig a little deeper, Nico got both of the previous two poles and Hamilton by his own admission has often struggled for a set-up here. He's also never taken pole. And still hasn't.